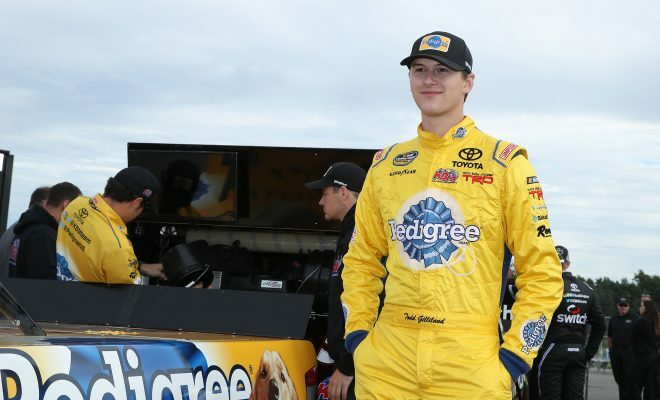 NASCAR veteran driver David Gilliland and his son 17-year old Todd Gilliland made history Friday night in the JEGS 200 from Dover International Speedway. The Gilliland’s became just the 10th father-son duo to compete against one another in a race. 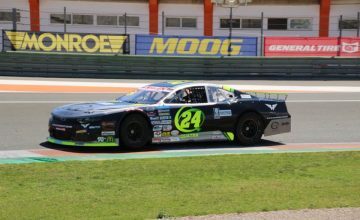 Both drivers had solid starting positions with David starting from the ninth position, and Todd from third. D. Gilliland drove his own No. 54 DGR-Crosley Toyota and had a solid evening ultimately finishing fourth, but multiple issues on pit road, including a pit road penalty nearly cost him that result. The 42-year was making his second NCWTS start of the season. In the season opener at Daytona in February he drove the same No. 4 Pedigree Toyota his son currently drives for KBM to a 21st place result. It certainly wasn’t the result Gilliland hoped for at the time after starting on the pole. Todd solidly ran top-10 for a majority of the JEGS 200 in his No. 4 Pedigree Toyota and was running third when a battery issue forced him to pit road with 13 laps to go. It was devastating considering earlier in the race Gilliland was able to recover from an early pit road speeding penalty. 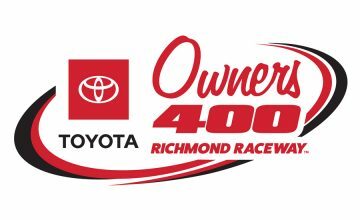 Gilliland would cross the finish line and bring home his Toyota to a 10th place result. In his only previous start so far this season he has a 14th place finish at Martinsville Speedway back in March. Johnny Sauter went on to win the race for his second straight victory in the truck series at Dover International Speedway.